There are more than 2,650 registered trekking companies and more than 3,750 travel companies only in Kathmandu valley of Nepal. 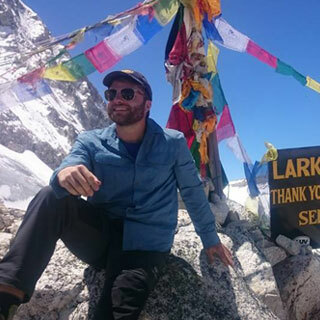 All company promises to offer the similar services for the adventure holidays in Nepal, we Himalayan Diamond Adventure stand out in our own different comprehensive services take caring of our valuable client's needs and requirements. 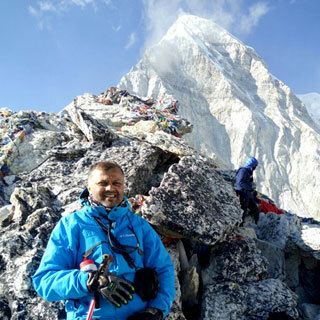 And on the other hand, we are very aware of how to be the best adventure company among them thousands of sprouting trekking agencies in Nepal, day to day. 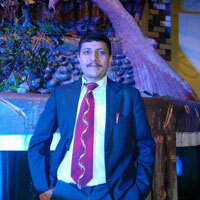 We are here in this tourism industry along with our earlier period of experiences. 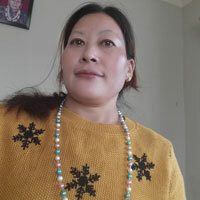 We are hoping that the Himalayan Diamond Adventure team is the good hands for your wonderful adventure trip in Himalaya. We are now operating our adventure outdoor activities with comprehensive packaging offers for our distinguished guests. We offer flexible holiday packages to suit a client's needs and requirements, taking into consideration group size, time and budget. 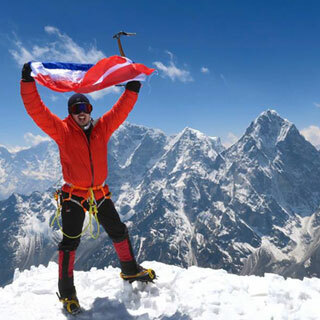 The extensive services we offer include, but are not limited to the following: trekking, peak climbing, expedition, luxurious tours, adventure tours, Motorbiking tour, helicopter tour, City sightseeing, rafting, jungle safari, adventure sports, hotel booking/accommodations, flight ticketing and much more. The Himalayas have a plethora of extreme beauty and majestic views. If you're enthusiastic about encountering them for yourself, then you've come to the right place. Himalayan Diamond Adventure is stand-by for all times and the best quality services for our regular clients as well as new guests. We are quite thoughtful with our distinguish trekkers or hikers or Mountaineers joy, fun, and safe trip through our company. We are very aware that only our clients and guests can make a pleasant trip with a professional and intelligent guide and faithful, authentic and helpful cook and porters. We accompany you with good English speaking guides and porters, informative in all sectors including weather forecast and caring personals. 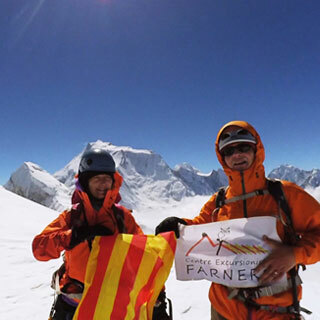 We have a different category of guides, such Porter guides, Trekking guides, Support Climbing guides, Mountain guides, French speaking guides, German speaking guide, Chinese speaking guides, Culture tour leaders, as your requirement. We provide you (-20*C) down sleeping bag and (-12*C) down jacket (Pay extra 1 and 50 cents each item each day). 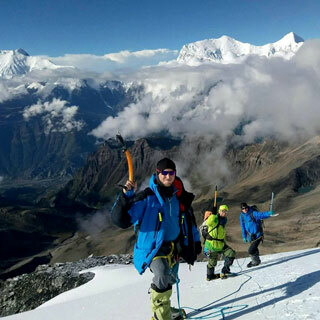 For mountaineers if you do not have own climbing gears we will provide you climbing gears on hire in reasonable price, such the Union of International Alpinist Association (UIAA) tested gears. Like Black diamond, Helmet, Harness, Crampon, Jumer ATC guide or Figure 8, Ice axe, Carabiners and La Sportiva alpine boot. We provide you sufficient and hygienic meals and dessert with hot drinks as per your choice and available in mountain lodges. We book your hotel in Kathmandu according to your choice and budget. We set up a permanent base camp for as long as the expedition continues. Each of the members has a personal North- face VE 24 dome tent or standard gears with waterproof compact mat. We provide a carpeted, heated dining hall with luxurious arm chairs and clean fascinating table with solar electricity light make your stay at base camp as luxurious. We have a toilet tent; all is in perfectly hygienic condition and order. 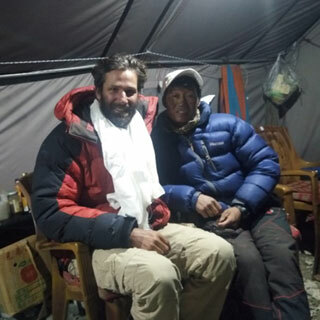 Our base camp chef caters the great meals and expedition team manager to deal with all the required logistics necessary for a successful expedition. We serve you fresh vegetable, fresh fruit, fresh meat and bakery items. Our chef prepares us only hygienic meals with variety of hot and cold drinks (Coke, Juice, beer, wine and hard drinks as you like). If some you are interested to prepare your meal on your own, you can surely do that also. The guide instructs you lot on base camp time, before push over summit. 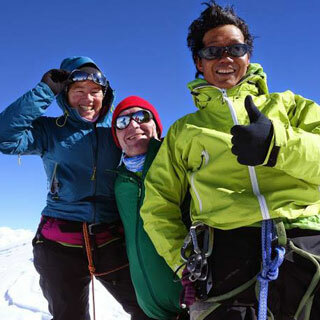 The guide tips you very important climbing techniques, like glacier travel; walk on ladder skills, Jumering (ascending) Active rappelling (Up sailing), and Safety placement, proper arrange of gears and equipments while climbing and use of proper climbing gears. The climbing gears are super expensive, so why you spend lots money for one time use? You can rent climbing gears on reasonable price. We use only the Union of International Alpinist Association (UIAA) tested gears. Such Black Diamond, Grivel, Petzel, La Sportiva and Beal brand’s Harness, Helmet, Crampon, Ice axe, Jumer, Figure of 8 or ATC guide, Carabiners, Ice crews, auxiliary cords and Alpine boots etcetera. 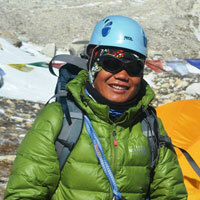 We focus first on our safety in easy trekking or high passes or push for a summit all the times. We will always make sure weather is favorable before moving any further. We always stand on our quality of weather forecast service. Its affiliated with the government of Nepal (Meteorological Division). 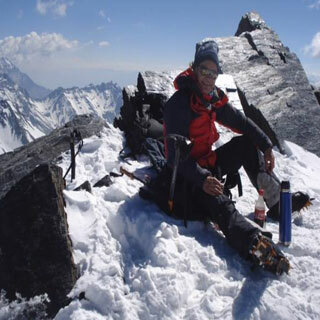 Mountaineering or outdoor activity is itself dangerous cause of high altitude, frostbite, hypothermia, blindness, snowfall, rock fall, avalanches, crevasses and white out. However, if we are well equipped, we can avoid the high risk. We are very aware of a possible happening accident in the mountain, so we ensure first our safety and then we move towards the summit. In case, if climber faces any unpleasant incident, we have a facility of 4 liters Russian Oxygen cylinder with summit mask regulator for emergency cause and all required treatment aids with the guide. That means we are equipped against any danger in the mountain. Besides these, the guide, as well as the climbers, would be carrying the Satellite phones or Radio sets to approach communication service. Otherwise, focusing the major subject safely, we will arrange all in time even call the Rescue Team or Helicopter and take you down to the low elevation. Your Financial Security: Himalayan Diamond Adventure is a reputed for adventure outdoor activities operator, registered and licensed obtained from the government of Nepal authorities and being an active Members of Trekking Agencies Association of Nepal (TAAN), Nepal Mountaineering Association, (NMA) Nepal Tourism Board, (NTB) (Kathmandu Environmental Education Project) (KEEP)etc. 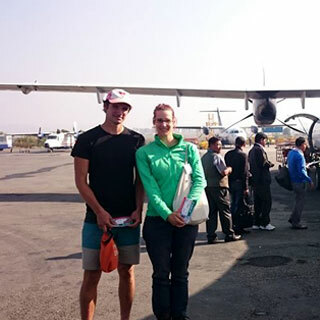 Small Groups Adventure with fixed departure dates: We believe in organizing a small group to deliver the best quality services so when you join Himalaya Diamond Adventure for trekking or climbing trip, you travel with a maximum 10 fellow travelers. This is small enough to avoid making a negative impact on the places we explore but, large enough to have a good time with other travelers from around the world. You are welcome to join the suitable trip date choosing from over the 100 adventure holidays trips.